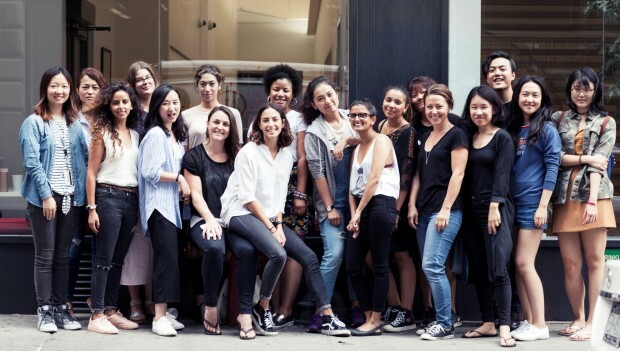 Ana Montgomery-Neutze (Muaūpoko/Ngāi Tara, Ngāti Pāriri hapū) from Kāpiti is using her Fulbright New Zealand General Graduate Award to complete a Masters in Social Documentary Film at The School of Visual Arts in New York. 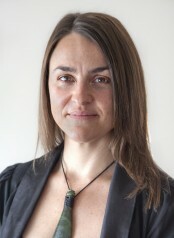 Ana graduated with a Bachelor of Design (Hons) from Massey University in 2004, a Postgraduate Diploma in Secondary Education from Victoria University of Wellington in 2006, and a Diploma in Digital Film from the Southern Institute of Technology in 2015. The purpose of me coming to the United States is to complete my Masters in Social Documentary Film. My ultimate goal is to become a New Zealand-based documentary filmmaker specialising in kaupapa Māori and the arts. I arrived in New York about four weeks before school started and I am glad that I did, because it took me some time to get things in order. The first six weeks were challenging. From apartment searching during the heatwave to setting up a bank account – nothing was easy. After six weeks though, I found myself in a wonderful apartment with five lovely roommates from all over the world, and I now feel very much at home in this amazing city. Two weeks after my arrival in the US, I was fortunate to attend a Fulbright Gateway orientation in Miami. This was an incredible experience, the highlight of which was meeting and spending time with people from over 40 countries during the three days. I formed friendships during that week that I know will continue for years to come. Graduate school has been a predictably challenging experience so far, with the greatest challenge being the sheer volume of work required. In saying this, it is a challenge that I am thoroughly enjoying. It is wonderful to be doing something every day that I love, with people who are as passionate about it as I am. Our classes are engaging, our professors are filmmakers at the top of their game and are wonderful teachers to boot, and our class is small (only 17 in total, 16 of whom are women), so we have already formed close bonds with one another. Most of us are international students, which means that we bring different perspectives to the work we do, and constantly challenge each other to think in different ways which is important given the industry we intend to work in. A typical week has us in class from Monday through Thursday until 9pm, and then shooting, editing and completing assignments from Friday through Sunday. This semester I have had little time to do terribly much outside of schoolwork, but I have hosted three visiting Fulbrighters in my home, trained to become a ‘Global Guide’, participated in a fundraiser for New York children’s hospitals, and attended Indigenous People’s Day on Randall’s Island. I was also lucky to receive tickets to an off-Broadway show and a classical musical concert courtesy of One To World, who are another fantastic resource for Fulbright students here in the US. In addition to meeting a whole lot of amazing new people, and having an opportunity to do what I love every day, some of the highlights of my time in the US so far have to be: working with our incredible professors; having an opportunity to hear from and speak to inspirational people and attending world-renowned film festival ‘Doc NYC’. I am grateful that I am here, and for what I have been able to achieve so far, and I am incredibly excited about what is yet to come.